I never get tired of asking questions – explains exactly why I am a Coach. Here`s the latest I asked over LinkedIn : What is the relationship between leadership and coaching? – Leader is the person who take the lead of a group try to gave them the agenda, qualify the doubts and finally motivates the group to perform an act keeping in mind the time frame as well results pertaining to it. Coach is person who motivates and enlight the path as well faclitate towards our goal. -Leadership is the person that goes way beyond the followers. Then, the leader coaches a follower to achieve leadership status. The relationship is determined by whether the leader has someone(s) to coach. You have to evaluate your team – some folks are not “coachable.” A good leader will coach. And a good leader will eliminate the ‘non coachables.’ Guess my perspective is from being a Leader. I coach who can learn – I get rid of the rest. One of the most important business functions is to prepare for the future combining a clear vision and a succession plan. The Leader of any team must identify their successor and mentor/coach them in areas they believe to be weak. I don’t think there are clear relationships between Leaders and Coaches. Some great leaders are not great mentors/coaches and some are. -I believe the role of leadership is to create clarity for the organization. Who are we, what do we want to accomplish, how are we doing. True leadership also develops a legacy for when they leave the organization, a template if you will. That is the “coaching” element. I am at the stage of my career where I believe that in addition to providing clarity to the organization one of my most important contributions is the selection and development of the next generation of leaders. That will not be accomplished by training alone, it requires mentoring and coaching. Leadership isn’t about what you take with you- it’s about what you leave behind. I believe a leader’s greatest aspiration should be that those you have mentored and “coached” contribute at a level that you didn’t achieve. A Leader and Coach are 2 distinct roles behind a good team. Leadership means a direct involvement – So he/she has to be a performer. Leader must be capable of directing and decision-making. A Leader must also be a good coach. He must be able to lead by example and demonstrate his lead by dominating in some way. But a Leader’s role in coaching may be limited, as he can be a coach only upto his skill or expertise levels. Besides, a Leader has his hands full working on the strategem and tactical aspects. A good Leader must be good at or know about most of the things he expects of his team. A Coach – the role implies a guiding and demonstrative approach. He/she is a dedicated and specialized member – studying the team members, to identify their strengths and weaknesses and improve their game. A coach must have some expertise and experience to delivery the knowledge, and get it practised. While a coach must have leadership skills to demonstrate the good advice and get it followed, he/ she should not be subject to pressure of performance on the field. So in my opinion, while there are some overlaps in the roles, but some lines must be drawn; the Leader also acts as Coach, but dont make the Coach the Leader. -I believe in order to be a good leader, you have to be a good coach first. People will follow who they believe have their best interest in mind. So to answer your question, leadership and coaching are tied to the hip. Leader – someone who keeps aware of which way the herd is moving and maneuvers him/herself to appear to be in the front. 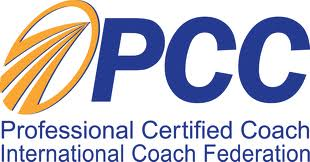 Coach – Person who used to be called “a consultant” until business stopped paying for consultants. -A coach is responsible for training his players to win, one battle at a time. A leader is responsible for choosing the right battles. –a desire to bring out the best in oneself before attempting to lead or develop others. Where leadership and coaching might possibly diverge is in the delivery or manifestation. One can be a leader without being in a position of authority. Leadership is best demonstrated by self action rather than words. Coaching, on the other hand, is focused or intentional conversation designed to help the coachee honour and build on their abilities to achieve desired outcomes. -Leadership inspires and motivates people to work towards a vision; coaching provides guidance and assistance on how to get there as efficiently and effectively as possible. -A leader identifies the mountain to climb. A coach motivates the team and devises strategies as to the best way of climbing that mountain. Leadership first and then coaching. Financial Plan first and then budgeting. What to do in life first and then goal setting. Destination first and then set GPS. -A leader selects the place to go to and takes people on that journey – a coach ensures people can make that journey. -A leader and a coach are individuals but leadership and coaching are processes. The former process is within an individual per se, the latter process, drawing it out from one or more individuals. A leader and a coach may or may not not be the same person but leadership and coaching are the same process, that of guiding. Guiding oneself or others on relevant values, initiative, qualities and skills. A leader and a coach are in the forefront (or ought to be) but leadership and coaching are processes in the backdrop. Combining these to answer your question on the relationship between leadership and coaching, both are synonymous guiding processes in the backdrop. -A leader can be a coach, but a leader generally leads a group and is a big picture thinker and motivator. A coach can work a person through the daily habits it takes to be successful. -Leadership and coaching are distinctly different roles. The point at which they diverge is; who sets the goals? Good coaching is non-directive. The client sets the agenda; the coach draws from the client what they already possess (but, perhaps, don’t know it) in order to realise the goals previously identified. Sometimes, through the process of coaching, the client will shift the goals. That’s OK. The coach will continue to support the client. As already indicated in other answers, a leader sets the agenda. People may elect to buy into that agenda to a greater or lesse extent. A leader may train followers how they can best support the goals that s/he set. A leader may attempt to re-ignite flagging entusiasm for the mission. However, if the person concerned diverges from the what the leader wants, then the leader is not interested and the relationship begins to decay. One caveat worth bearing in mind is that “leadership” is a role, not a person. So, an individual may be a leader in one context – say, a team sport – but a follower elsewhere – say in politics. -In my view, Coaching is sub-set of Leadership. Every Leader is a Coach par-excellence. A true leader’s presence itself works as a Coach. -It really depends what you put behind the words. In my world, the leader sets directions, objectives for all to follow (Push mode); the coach will help a individual (Pull mode) solve a personal problem (how to achieve an objective, give some sens to an action, enable potential, manage difficult situations, be responsible, better self-esteem). However both are necessary in an organization. -The best leaders are also effective coaches – at all levels. There are very good coaches who – for a variety of reasons – are limited in the ability to lead. This is often due to a limited strategic vision. Organizations need leaders. Organizations need coaches. It is the best of all possibilities when the leaders are also effective coaches. -Behind every successful leader there is a coach. But every leader hides his coach. Successful leaders hide their coaching.